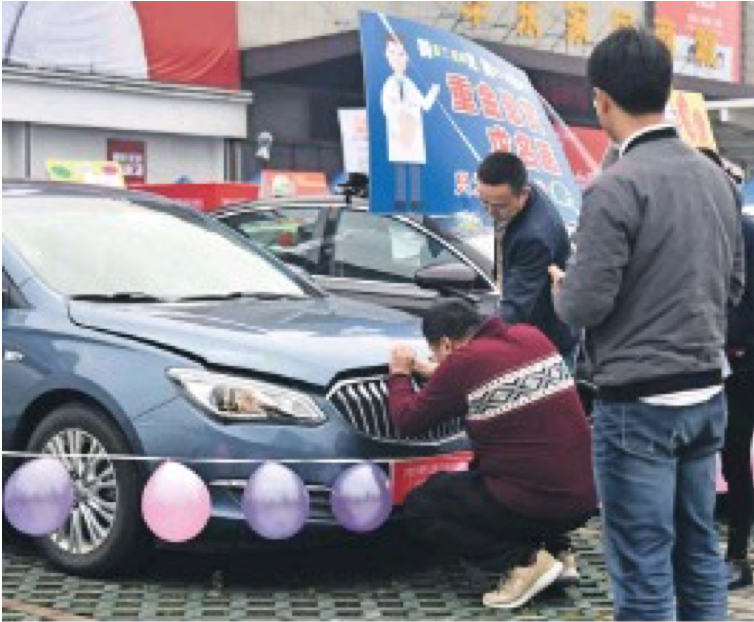 A man in Hangzhou, China, checks a car earlier this month for quality issues on the annual Consumer Rights Day, which falls on March 15. China is now the world’s No. 1 market for cars, smartphones, and many other consumer goods. As China plots its response to a White House determined to extract blood on trade, Beijing’s leadership knows it cannot match U.S. military or economic might. But Chinese decision makers also know they now oversee the world’s dominant marketplace. China’s retail sales are the highest on Earth, worth US$7.5-trillion last year, 14 per cent larger than the United States. China is No. 1 in cars, smartphones and any number of other items people buy for themselves. Chinese consumers, in other words, have already collectively become the world’s buying superpower. And when Beijing wants to retaliate, it has a record of using those buyers, nudged by nationalism and propaganda, to exact a painful toll on rivals. China has done so in recent years to the Philippines, Japan and South Korea, with Chinese consumers participating in boycotts of foreign-made cars, cosmetics and tourist destinations that have inflicted financial suffering on those Beijing wants to punish. Now, China is also prepared to wage a “people’s war” against the United States, the nationalist Global Times, a Communist Party imprint, said in an editorial. Readers on the newspaper’s Twitter-like Weibo account were quick to take up the cause. “Let’s boycott Apple,” one wrote. “CocaCola, Starbucks, American soybeans – these are the things we can easily abandon,” another wrote. Recent history shows how damaging such actions can be. In late 2016, China disputed South Korea’s decision to install a U.S.-made anti-missile defence system. When diplomatic pleading failed to alter Seoul’s course, Beijing launched economic war – without so much as a single tariff. State media called for boycotts of South Korean goods. Visa officers stopped giving credentials to K-pop bands, cutting them off of lucrative shows in China. Border inspectors suddenly took great interest in examining South Korean-made goods. Group tours were banned to China. It was a “disaster,” said Jinwoo Yoo, with Grace Travel in Seoul. Tourist numbers fell in half, causing “great losses,” he said. On Chinese social media, people were caught up in a #stopbuyingSouthKoreangoods campaign. Xia Qing, an architecture student in Hunan University, stopped buying South Korean skin-care products and electronics. “It brings me psychological comfort, making me feel like I am doing the right thing – what Chinese people are supposed to do,” she said. Such is the power of Chinese consumers that those reactions can add up to a real cost. By the fall of 2017, when the Chinese government declared a truce, South Korean researchers tabulated the economic losses at US$7.5-billion. Car makers and tourism providers were hit particularly hard. But in a cautionary tale for the United States, the losses continue to accrue in South Korea. At Grace Travel, “I still have not seen a significant comeback in numbers of Chinese customers at our agency as of this point,” Mr. Yoo said. South Korean car makers, too, have not returned to earlier levels. Their Chinese market share fell, in a single year, from roughly 7.5 per cent to less than 5 per cent, and “it will be very difficult for them to restore” past strength, said Yale Zhang, founder of industry research firm Automotive Foresight. China’s boycott of South Korea came as that country’s companies were already being challenged by Chinese makes. 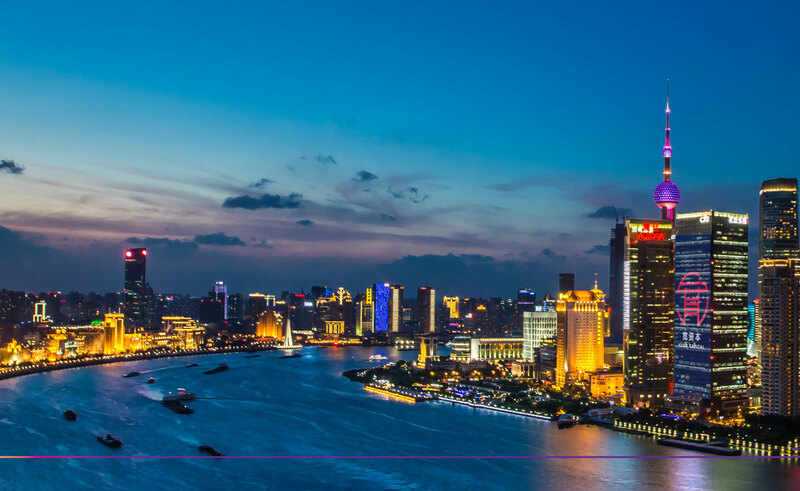 The same is true, however, for U.S. brands – in areas as disparate as smartphones and cars – raising the stakes for any Chinese consumer action. In SUVs, the strongest segment of the Chinese market, “seven of the top 10 selling nameplates in China are made by Chinese companies,” said Bill Russo, who previously led Chrysler in China and is now managing director of Gao Feng Advisory Co. as well as the Founder & CEO of Automobility Ltd.
“There’s certainly risk here that Buick and Cadillac and Ford, companies that have made big investments with their brands in localizing product, could experience a consumer backlash,” he said. The irony is that U.S. car makers have been among the most enthusiastic participants in the localizing activities the White House is now seeking to punish – and U.S. trade action may push them to do more. If trade barriers impede the flow of U.S.-made parts to China, car makers will have “to make them in China if they want to avoid the barrier,” Mr. Russo said. In China, meanwhile, the power of consumers is a source of confidence. “This trade war between the U.S. and China will last no longer than six months,” predicted Cao Shanshi, a prominent economic writer. It’s as if the U.S. is cutting flesh from China’s body while China beats the U.S. and makes it lose its front tooth. It’s hard to say who will be more hurt. But what we can be sure of is this: China’s capacity for pain is greater than that of the U.S.